Scrappy and well-intentioned, we like site-specific work. Reserve or purchase tickets HERE. Our fourth variety show, this time benefiting the wonderful people at VELA Families. With storytelling, music, standup and much, much more. 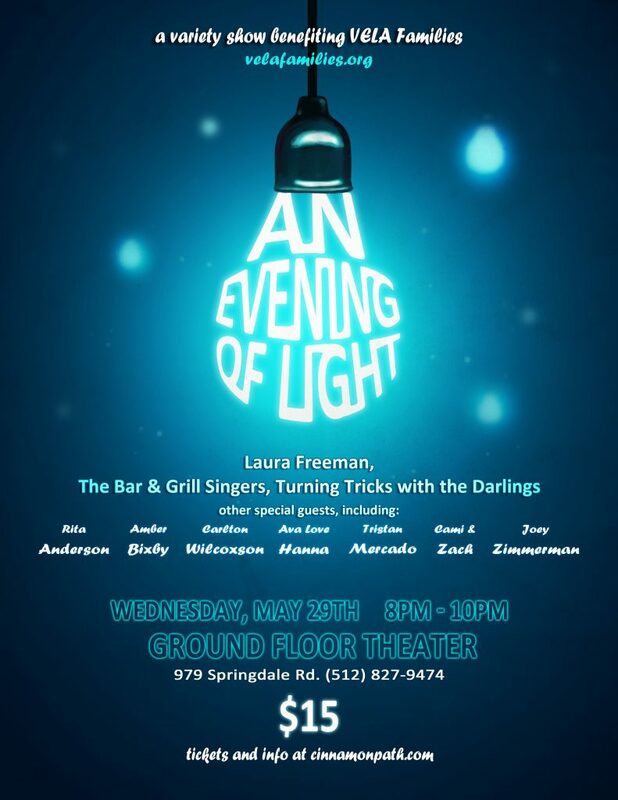 Featuring: Laura Freeman, The Bar & Grill Singers and Turning Tricks with the Darlings. You can find out more about VELA Families HERE. You can find more about our past events HERE. You can reserve or purchase tickets to this event HERE. Note that the show contains some mature, adult content. Also, this a plastic-free event and every effort will be made to use reusable and recyclable products.